Selling auto-parts? Here's some information for you. 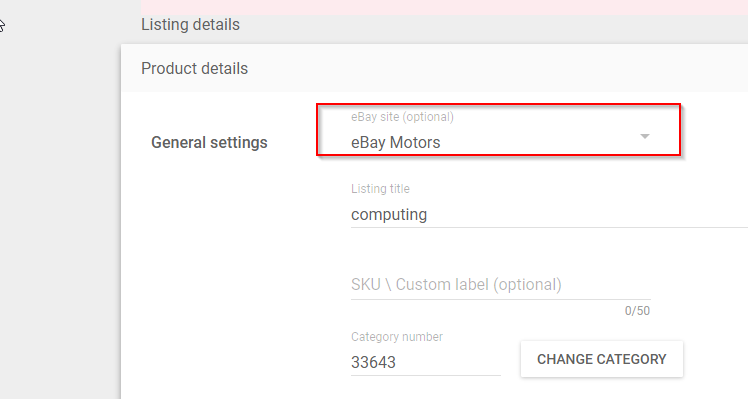 When creating a listing for eBay Motors, make sure to click on the eBay countries drop down and to select "eBay Motors" rather than the geographic country. How can I set up the compatibility chart for my eBay listings? If you wish to have a compatibility chart for your eBay Motors listings, this would be set up via eBay. Simply publish your listings via CrazyLister with the templates first, and then go on eBay to add the chart.